We are happy to announce the FDT haXe Beta plug-in as a public release as part of our contribution to the Flash Community Open Source program. Developed in collaboration with Influxis, the FDT haXe plugin provides developers a powerful tool for authoring the haXe multi-platform language. Our goal is to provide the best haXe coding experience and that it feels like coding in the AS3 or MXML editor of FDT: same shortcuts, same syntax coloring, same coding comfort. Here are additional built-in new features of the haXe plugin. Setup an SWF output in your HXML. When it builds, right click on the SWF and select Run As > SWF File. Compile haxe to C++. Right click on the generated executable and select Run As > Native Executable (you have to do “haxelib setup ; haxelib install hxcpp” for this to work). More information on the FDT Documentation website. 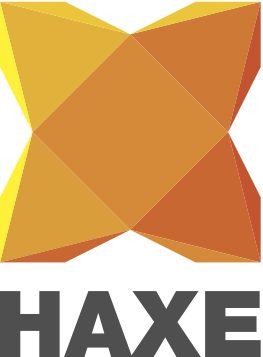 Some of you might be wondering … What is haXe ? The haXe code is MIT licensed, there are no licensing fees or limitations. Most importnat, haXe has a passionate open-source community behind, very willing to help and support developers. Install FDT’s haXe Plugin, just follow the instructions on our haXe FDT Installation tutorial. More haXe news will be published soon, stay tuned! Follow @FDThaXe to keep up to date on latest development. Happy Coding from the FDT and Influxis Team! P.S. Big kudos to Powerflasher’s design team creating haXe new logo! Let us know how you like it.